Vertu Ascent Motorsport, Run Over Five Times, Survives | OhGizmo! The Vertu Ascent Motorsport Edition is like no other. It costs both your arms, and asks for your right eye as collateral. It is made with petroleum-resistant automotive leather inlaid with carbon fiber and Liquidmetal, an alloy that is stronger than aerospace grade titanium. Matter of fact, it’s so strong, the company claimed the phone could be run over by the very car that inspired its design: an F1 Porsche. Well, the NYT called the company’s bluff and ran over it with a Porsche Boxter. And the phone survived without a scratch. Impressive, but what we really need (here at work) is one that will survive a drop into the toilet. 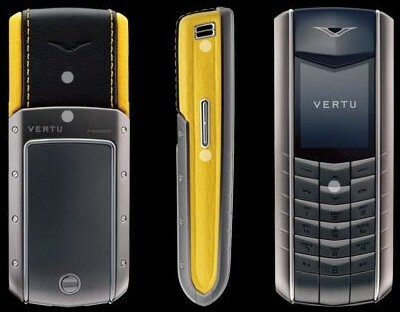 the basic vertu phones cost Â£15,000 pounds so id exspect this to be a lot more. I personally believe that life should be lived to the fullest everyday and my way of doing that is with the roar of machines. The world of motor sports is a thrilling and visceral universe that provides intense experiences and fulfillment. If you love adventure and feel your adrenaline level hiking whenever you hear the sound of a throbbing engine visit http://motorsports.com/ and get your daily fix of the BUG.